The term virus was coined by Pasture. For the discovery of viruses’ first-time work was performed by a scientist Iwanowsky, who was discovered TMV (tobacco mosaic virus). it was later crystallized by a scientist Stanley. Now another scientist Beijuinuk called ‘viruses as “Contagium Vivum Fluidum”. What that mean? Living infectious fluid. 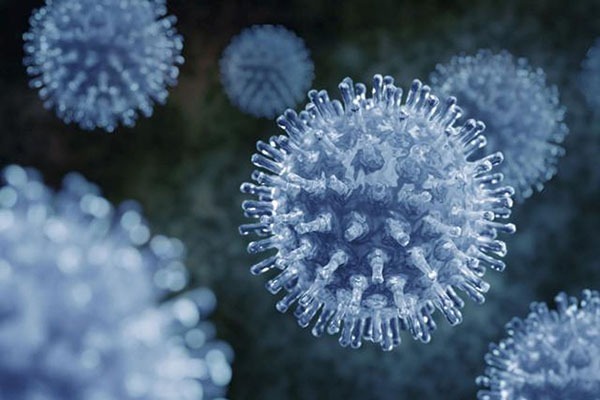 As today we know viruses are passed in between 100 dry lines of living and nonliving bodies. 1. There is lack of protoplasm (constituent of cell organelles and plasma membrane). 2. Respiratory system that involves in formation of energy currency in the form of ATP is absent. 3. Independent existence is absent because they reproduce/ replicate by using biosynthetic machinery of host. Therefore, these are also known as obligate intracellular parasites. 4. Specific gravity for non-living entity is higher as compared to loving entity. 5. They can be crystallized. Viruses are made up organic compounds. 1 Genetic material either DNA or RNA. 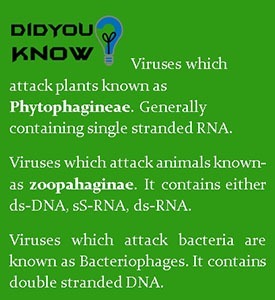 4 They are pathogenic in nature. 5 They also have ability to mutation. 6 They can be killed by automatically (high temperature treatment) and UV rays. 7. They almost have ability to grow (increase in size). 3: Envelope: In some viruses there is present an additional covering around capsid called envelope. 4: Enzyme: In some viruses there is present catalytic proteins called enzyme. Now after looking nucleic acid, part of virus deals with protective-e covering around nucleic acid, which is Capsid. It is protective in nature. It composed of proteinaceous subunits that are capsomeres. Number of capsomeres associated with viruses are fixed e.g. TMV have 2130 capsomeres. Arrangements of capsomeres determine definite shape (shape of viruses depend upon the arrangement of capsomeres). It comes in the category of Retro viruses. Because they have ability to change DNA into RNA through reverse retro transcription with the help of its own reverse transcriptase. Retro viruses show reverse transcription inside the host cell by its own reverse transcriptase enzyme. It is discovered by Temen and- Ballimore therefore reverse transcription is also known as Teminism. It contains elongated cylindrical shape due to elongated arrangement of capsomeres in the capsid. 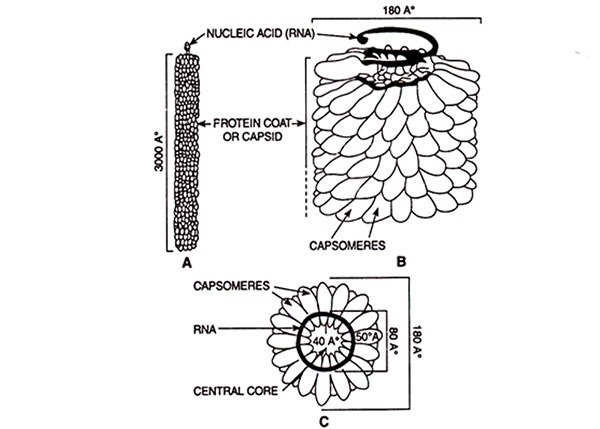 Inside the capsid it has single stranded RNA in coiled form. Total number of capsomeres are 2130. It has lolipop like structure/ tadpole like structure due to containing head and tail capsid. Some part of shape is polyhedral someone is elongated in shape such type of viruses associated with two types of shapes is known as Binal type of viruses. Head: Head is polyhedral and proteinaceous in nature. Genetic Material: It has double stranded DNA. Neck: The neck is slightly longer and cylindrical in shape. Tail: Tail is proteinaceous in nature surrounded by contractile sheath. Basal Plate: It is Hexagonal at the upper surface is present. Tail Fiber: At the lower surface is present. Carbohydrates (these two contributed by host cell). Protein (these are coded by viruses). Viruses without envelop are known as naked viruses. E.g. polio viruses and Reo viruses. Made up of subunits known as Peplomeres. Lytic Reproduction: There is lysis of host by virus during this type of reproduction. This type of virus which show lytic reproduction is known as Virulent virus e.g. Bacteriophage (T2). Lysogenic Reproduction: There is an integration of virus DNA to bacterial main DNA (nucleoid). 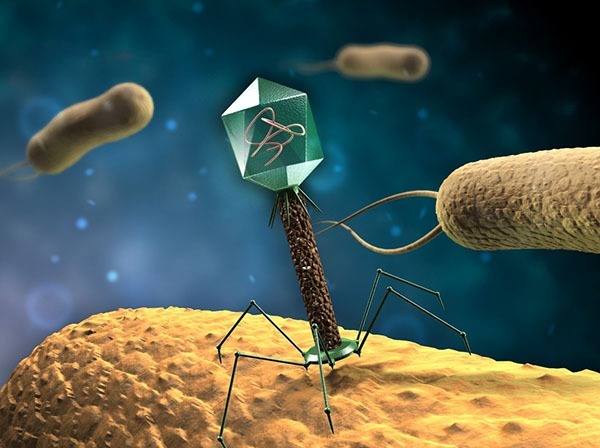 Integrated virus DNA with bacterial nucleoid is known as Prophage. When virus DNA has integrated still bacterial DNA, can’t do any harm to bacterial cell. 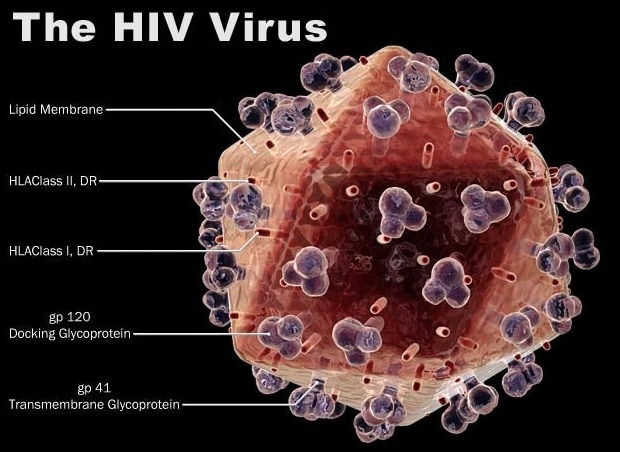 This type of virus is known as temperate virus e.g. lambda phage virus. Sub Viral Agents: Sub viral agents have size lower than viruses.